Finally I realized that apart from my day to day work and updating client sites, I needed to update websites for my friends and family members too. I saw that few of them are running with old version on Joomla 3.4.8. At the same time I have got client site to update as well coninsidentally was on Joomla 3.4 as well. I had nothing to think about or worry since one click update feature was introduced into Joomla. So in eargerness to update a site, I just hit the update button in the backend, there you go with WSOD (White Screen of Death) or a Blank page. Yes! I made a mistake by not even thinking a second and not taking a backup. Luckily site was not a client site but rather a family member site so little relief! :-) Since site was broken I thought why not to play with it and see what happen and may be I can fix it with all erros I am having. But one by one it keep on coming and that didn't work. Now I got little worried that I did not take any backup which I normally do even to update to next version or a security update. But thanks to support engineer of my awesome hosting provider at Cloudaccess.net (or my previous company that I worked with) who restored the backup which was taken by auto backup on the servers which saved me today. I took advantage of backup system on the control panel that we have build while I was working with, where I can take backup of whole site by single click and reload if site gets messedup. Good for developers who need to keep reloading site back and forth or before updating something important. I took a backup finally and tried to play with the site. I tried and restored the site couple of times, few attempt to update and to be precise I failed 3 times with silly mistakes or trying out with various methods. Finally, found out the way by reading some of the articles, documentation and github issue comments. Following is the method I applied to solve the issue. First you need to update the site with Joomla 3.6 version. Since automatic update will not give you any specific version option to choose from, you need to all do it manually. You need to upload Joomla 3.6.0 version of the zip file (or any other format you download) to the root of your website, unzip and override all core files, then fix the database, discover/update and install the extensions. Now you can easily update the update Jooml 3.6 version to 3.6.1 by going into 'Joomla Update' under the component area. 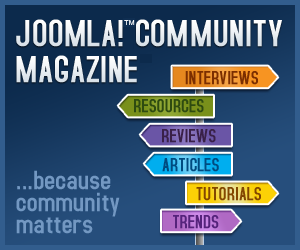 Once you are done with the steps you can now use one click update to Joomla 3.8 version. Copy the update package to the root directory of your site and unpack it. Note that you need to tell the system to replace any existing files. For example, in GoDaddy.com, use the FTP File Manager to upload the update file and then use "Unarchive" to unpack it. Check the box "Overwrite existing files". button at the top left. Once you finish updating into 3.6.0, as I mentioned above yo ucan easily update Joomla 3.6.1 patch version from Component → Joomla Update → Upload & Update. I hope you find this easy and can be helpful to fix your issue as I had. Furthermore, the client site which I was updating was on Gantry 4 framework's default customized template. It gave me an error on offline.php file due to enable of finding the path for the file. I did comment out the following on line number 139 on offline.php file under the template which worked file for me. If you find any other way to update or that I do not know, feel free to let me know.